I’ve been inspired by the Chinese New Year and how it might relate to investing in property in the coming year. According to the Chinese zodiac, this will be the Year of the Pig. I didn’t previously know much about the zodiac, nor what the pig symbolises, so I did some research. The natural element of the Pig, which is the twelfth sign in the zodiac, is water. Water is associated with feelings of emotion and intuition. And in Chinese culture, pigs are associated with wealth and good fortune thanks to their big ears and chubby faces. Intuition. Wealth. Good fortune. Water. Those are some pretty enticing qualities when it comes to real estate, if you ask me. The year ahead in property remains an uncertain one, particularly as Sydney continues to experience a softening in prices. So, what should you do? I suggest you embrace your inner pig, because when you dig into the fundamentals, these porcine friends could be onto something this year. I was inspired by the pig’s water element. In the zodiac, it invokes a sensation of emotion and intuition, while in property, water instill a sense of prestige and scarcity. People love living near it – it’s calming to be around, pleasing to look at, and it promotes an active and outdoorsy lifestyle. Researchers have documented the health and well being benefits of being close to the water. And it’s about more than a feeling. Real estate on the water attracts a premium and the homes tend to be of a higher quality. Properties on or very close to the water are more robust when it comes to price performance particularly over the long-term. Harking back to the classic supply versus demand principle of economics, the reality is that there’s a finite number of water properties. That, coupled with their continually in-demand nature, means prices remain steady when other market segments falter. And now is a very good time to buy a water property in Australia’s biggest capital. It’s a safe way for you to stake a claim on your own little piece of Oz. When the housing market is soft, buyers get nervous and stay away. It’s psychological. We feel more confident when prices are rising rather than take advantage of bargains. As a result, properties for sale can take longer to move. But it means the opportunity is ripe to negotiate a really great deal on a prestige water property. While buyers are shying away and prices are softening, this new year now could be the best chance you have to snap up something on the water. A lot of water properties are sold off-market. This means they’re not promoted as being for sale by real estate agents, so the best deals usually aren’t found on popular sales websites. Being off-market means there’s less frenzied competition and the pace is a little slower, giving prospective buyers an edge to negotiate a better deal. These sales occur for a number of reasons. It’s usually because the seller doesn’t want to make a fuss or they’re uncertain of market conditions and want to take a gentle approach. They could be a high-profile vendor keen to avoid attention. But the trick is finding them when you don’t have an insider working on your behalf. A buyer’s agent is tapped into a network that provides a steady stream of information about off-market opportunities and allows them to act quickly on behalf of clients. Buyer’s agents know local markets. They know the types of dwellings that are the most suited to an area. They are clued in about an investment’s history and future prospects. And they’re best-placed to get the absolute best deal. When it comes to where to buy, it’s not remotely as simple as pulling up Google Maps and targeting suburbs on the coastline, such as Bronte or Mosman or Vaucluse. For any water property, there can be a significant difference in the viability of an investment based on as little as a few blocks. It might be on a busier stretch or road. It could have a nice view that winds up being temporary if there are planning provisions allowing tall development in front of you. Or it could be that savvy small-time developers have come in before you, split bigger blocks into much smaller ones, and therefore shaved off potential for you to add capital value. It’s best to do your research thoroughly or to engage the services of a buyer’s agent who knows what to look for, the questions to ask and what to take into consideration. I’ve recently acted for a number of Chinese buyers looking to secure a property investment in Australia. They were thrilled with the result – being able to hand over all of the hassle to an independent, properly qualified expert. I’ve worked with Chinese buyers and understand the principles of Feng Shui that are most important. From the slope of the block to the street appeal, the orientation of the dwelling and the layout inside, I’ve become skilled at knowing what to look for. And, of course, I can help with Foreign Investment Review Board (FIRB) applications, which can be tricky at the best of times. 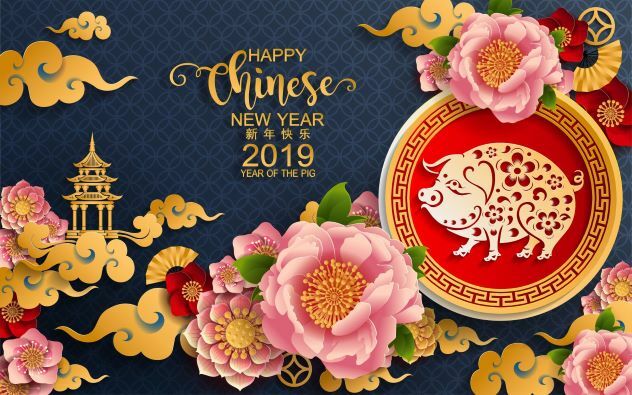 The pig is a symbol of fortune, and I think 2019 is the time to embrace the notion that fortune favours the brave by making bold but informed investment decisions. If you’re travelling Australia from abroad and find yourself keen to buy – or you’re a local inspired by the pig’s affinity for water – we’d love to help you navigate the purchase.